Brian Wilcox joined the faculty in 1994 and serves as the director of the University's Center on Children, Families and the Law, and chair of UNL's Family Research and Policy Initiative. He received his Ph.D. in community psychology from the University of Texas in 1979. Prior to coming to Nebraska, he taught at the University of Virginia, served as a legislative assistant to Senator Bill Bradley, and was director of public policy for the American Psychological Association. 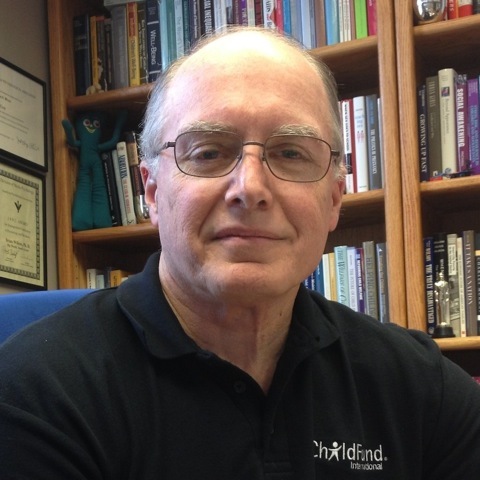 His teaching and research interests focus broadly on the linkages between child development and public policy, including adolescent sexual behavior, child welfare, child care, and children and the media. He regularly teaches seminars on intervention research design and methods. Wilcox is a Fellow of the American Psychological Association. He is a past president of APA's Division of Child, Youth and Family Services, co-chair of the Society for Research on Adolescence's Committee on Research, Policy and Public Information, and currently serves on the ethics Committee for the Society for Research on Child Development and is a member of the Council of Representatives of the American Psychological Association. Wilcox is on the editorial boards of the Journal of Adolescent Health, the Journal of Youth and Adolescence, and the Interamerican Journal of Psychology. During the 2004-2005 year he was a visiting professor at the Pontif'cia Universidade Católica in Rio de Janeiro and a Senior Fulbright Scholar at the Universidade Federal do Rio Grande do Sul in Porto Alegre, Brazil. Wilcox is affiliated with the Law-Psychology and Developmental Psychology programs at UNL. Raikes, H.A., Raikes, H.H., & Wilcox, B.L. (2005). Regulation, subsidy receipt and provider characteristics: What predicts quality in child care homes? Early Childhood Research Quarterly, 20, 164-184. Wilcox, B.L. (2003). The research/policy nexus: Children�s educational television as a case in point. Journal of Applied Developmental Psychology, 24, 367-373. Wilcox, B.L., Colman, R.A., & Wyatt, J.M. (2002). The Personal Responsibility and Work Opportunity Reconciliation Act of 1996: What will it mean for children? In B.L. Bottoms, M.B. Kovera, & B.D. McAuliff (Eds. ), Children, psychology, and U.S. law (pp. 15-50). New York: Cambridge University Press. Kunkel, D., & Wilcox, B.L. (2001). Children and media policy. In D. Singer & J. Singer (Eds. ), Handbook of children and media (pp. 589-604). Thousand Oaks, CA: Sage. Wilcox, B.L. (1999). Sexual obsessions: Public policy and adolescent girls. In N. Johnson, M. Roberts, & J. Worrell (Eds. ), Beyond appearance: A new look at adolescent girls (pp. 333-354). Washington, DC: American Psychological Association. Wilcox, B.L., Robbenolt, J., O'Keeffe, J.E., & Reddy, M. (1998). Teen nonmarital childbearing and welfare: The gap between science and political discourse. Journal of Social Issues, 52, 71-90. Wilcox, B.L., & Kunkel, D. (1996). Taking television seriously: Children and television policy. In E. Zigler, S.L. Kagan, & N.W. Hall (Eds. ), Children, families and government: Preparing for the 21st century. New York: Cambridge University Press. Gardner, W., & Wilcox, B.L. (1993). Political intervention in scientific peer review: Research on adolescent sexual behavior. American Psychologist, 48, 972-983. Wilcox, B.L. (1993). Deterring risky behavior: Policy effects on adolescent risk taking. In N. Bell & R. Bell (Eds. ), Adolescent and adult risk taking. Newbury Park, CA: Sage.